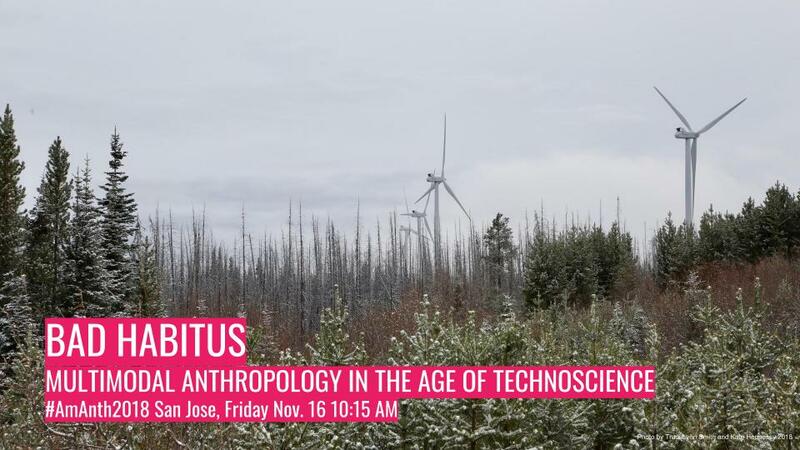 Please join our conversation in San Jose at the Meetings of the American Anthropological Association on November 16 10:15 am-12 noon (4-0335.). Presenters in this session envision the multimodal and its potential to support the realignment of relations of power, community-led media productions, and ethical research relationships with communities that have been excluded from participation in anthropological forms of knowledge production. This roundtable begins by asking: How do technologies work, how are they produced, by whom, and under what conditions? Can multimodal anthropology address technological democracy in an era where it is largely agreed that the internet has failed to increase or produce democratic conditions? What might multimodal anthropology fail to recognize? Or worse, how might our own attention to technological forms, subsequently elide issues of power, resource equity, and representation?